What's more precious and expensive to replace these days than a phone screen? I'm sure I'm not the only one who's had a mini-heart attack when I've dropped my phone and sweated buckets when turning it over to survey the damage, to find the screen's completely smashed - even though there's a case on it. I have an iPhone X where the entire front and back is made of glass, so I'm even more careful. 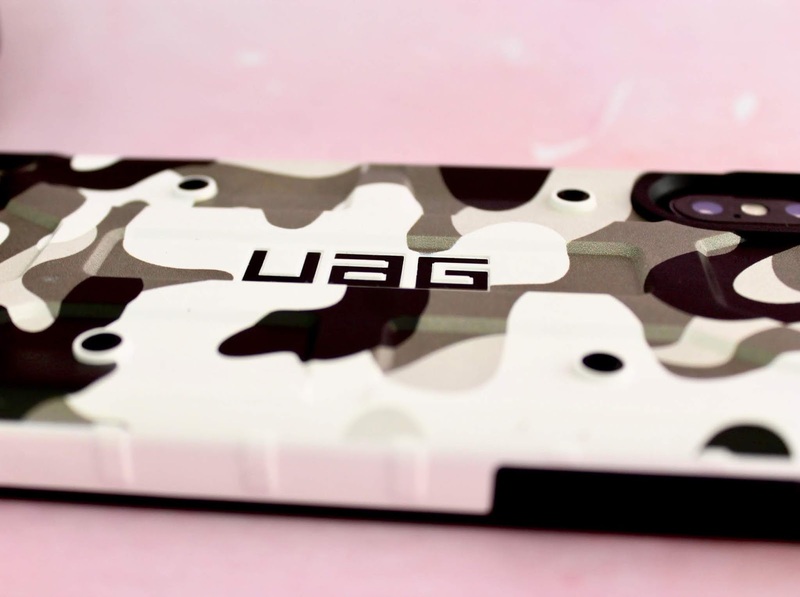 But I received a phone case that might just solve my problems - Urban Armor Gear's new Camo collection iPhone X Case*, with military drop protection. A lot of cases claim to have 'military drop protection' only for it to fall apart after a 1cm drop - this case is the business, with a proper raised lip from the screen and back camera so the ground will never even touch it let alone smash it. Reinforced corners mean the case is also shock absorbing, so the hardest surface won't beat it, which is just great for peace of mind and value for money. Speaking of money, the case is fully Apple Pay compatible, meaning it won't get in the way of you making an important transaction. I've tested this thoroughly, and it's worked perfectly every single time. It's also charging pad compatible, and not a lot of cases are yet so that's another bonus - I can't vouch for that as I don't have a charging pad, but anyone who does I'm sure will not be disappointed. I road-tested the case at the Goodwood Festival of Speed, dropping it on plenty of different surfaces (metal, grass, concrete) and both my iPhone and the case came out completely unscathed, not even a scratch. It's also very pocket-friendly, as I put it in my shorts, jeans and shirt pockets with ease. It's not the thinnest case in the World, but with a thinner one you're more likely to damage the case or phone. Also, the design looks pretty damn cool, right? 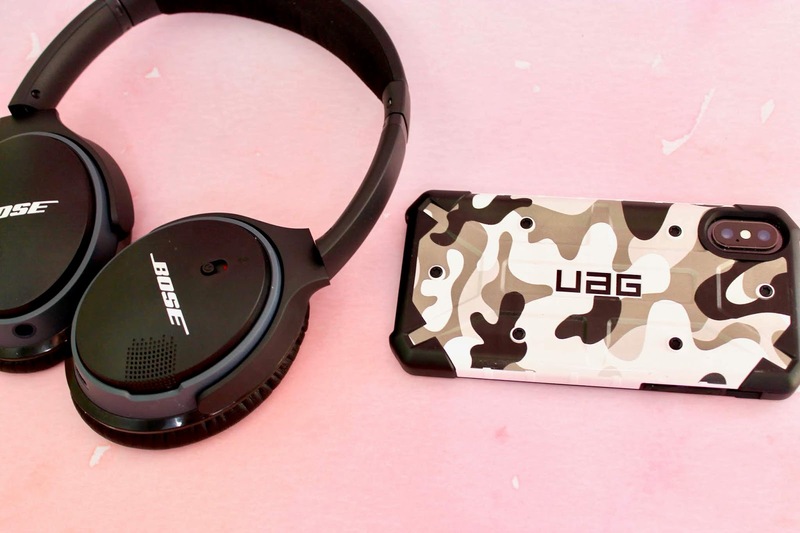 The camo is definitely a good look with any outfit and will fit well in any bag, making it the perfect road trip or club companion. The screws are only for cosmetic reasons, but definitely adds to the rugged image of the brand and their products. This iPhone case is an extremely versatile one, and a great option for someone who wants all-round, reinforced protection. It's a case that I'll not be taking off my phone any time soon. If you would like more info or to get one yourself, head to their website or Amazon**. *A PR sample was sent. All opinions are my own. **I'm using an Amazon affiliate link, meaning I pick up a few pennies if you buy a product through the link provided. It looks great doesn't it! It's definitely great for Apple Pay, I'm lazy too and have tried it out. That design is fab, I have so many phone cases!